Ahead of the Fourth Doctor's appearance in The Diary of River Song next month, with more Fourth Doctor Adventures announced into 2021, and the Comic Strip Adaptations releasing next March, we are celebrating the Tom Baker era with some great special offers. Why not grab some of the earlier adventures with the iconic Fourth Doctor? Head to page https://www.bigfinish.com/offers/v/gofourth and use offer code JELLYBABY. These offers expire at 23:59 (UK time) on 30/08/2018, so don’t miss out! You can get the first five series of the Fourth Doctor Adventures at just £5 each on CD and £2.99 on download. Plus you can get Phillip Hinchcliffe Presents, Fourth Doctor Lost Stories and Fourth Doctor Novel Adaptations, all at a reduced price. The first series of the Fourth Doctor Adventures was released in January 2012, and saw six adventures for the Fourth Doctor and Leela, played by Louise Jameson. Series two reunited the late Mary Tamm as the first incarnation of Romana with the Doctor in seven adventures. Series three and four saw Leela return to the TARDIS, in adventures that included the Cybermen, Exxilons, Sontarans, the Master and the Zygons. And series five, released from January 2016, brought Lalla Ward as Romana II to the TARDIS for eight full-cast audiobooks set in the TV series' seventeenth season. Two stories that were lost and only existed in script form were brought to life in Doctor Who – The Lost Stories: The Fourth Doctor Box Set. Available now at a special offer price of £25 on CD or £22 on download. You can also get the Fourth Doctor Novel Adaptations on special offer. Get them individually at £7.50 on CD or £6 on download or in limited edition release format at £25 on CD or £20 on download. And why not get two stories written by Philip Hinchcliffe (producer of Doctor Who from 1975–1977), and adapted by Marc Platt. Philip Hinchcliffe Presents volume one is available at £25 on CD or £22 on download. 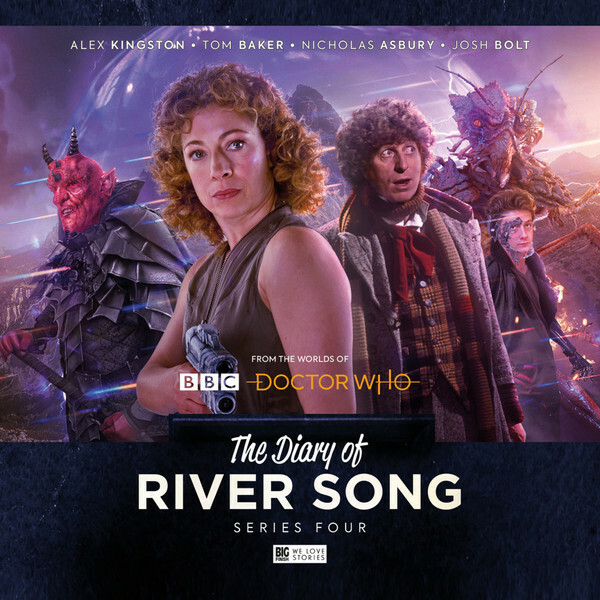 The Fourth Doctor joins River Song in the forthcoming The Diary of River Song Series 4, due for release next month. 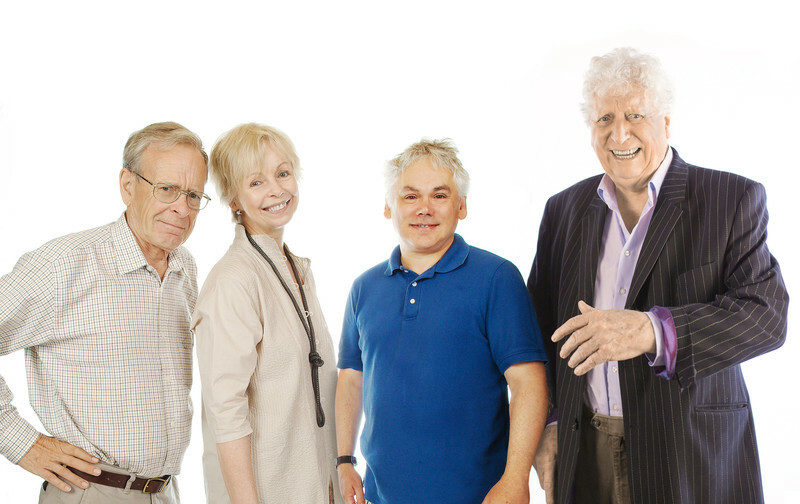 We’re also delighted to announce that another two seasons of the Fourth Doctor Adventures have been confirmed taking us up to 2021 – and we’re returning to E-Space in season nine! Lalla Ward comes back to the TARDIS, joined by John Leeson as K9 and Matthew Waterhouse as Adric. And we also have the Comic Strip Adaptations releasing in March 2019. Based on the comic strips in Doctor Who Weekly Magazine (now Doctor Who Magazine), this box set features two adventures for Tom Baker’s Fourth Doctor - The Iron Legion and Star Beast. So what are you waiting for? Head to page https://www.bigfinish.com/offers/v/gofourth and use offer code JELLYBABY to get the first five series of the Fourth Doctor Adventures at just £5 each on CD and on £2.99 on download each. Plus you can get the Fourth Doctor Lost Stories and Fourth Doctor Novel Adaptations, all at a special offer reduced price. Alternatively, you'll find the bundle prices for the first five series are all reduced too for the duration of the sale. These offers expire at 23:59 (UK time) on 30/08/2018 – so don’t miss out!